In this week's episode David, John and Kyle try to figure out if it is “Laurel” or “Yanny” (2:20). We also discuss the most rented films on Redbox and why their employees are being threatened with legal action for trying to rent the film Coco (8:30). 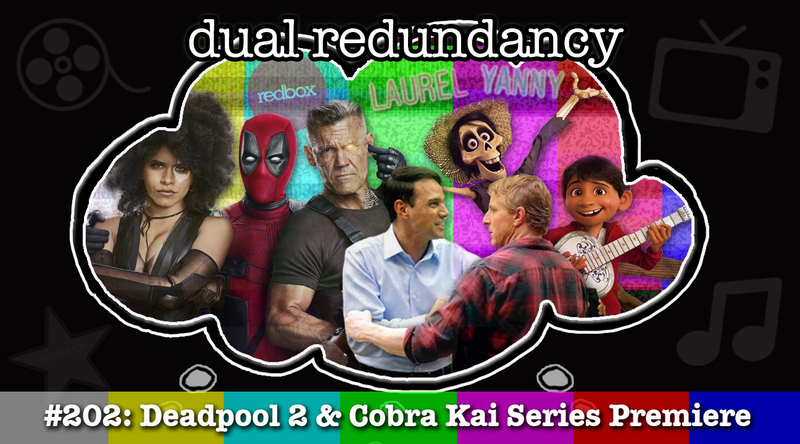 Next we review the film Deadpool 2 (18:25) and the series premiere of the YouTube Red series Cobra Kai (30:15). Finally, Dave gives his delayed Game of Thrones thoughts in the first installment of #DaveOfThrones (39:30).